Work with us and let us help you generate brand awareness and endorsement to travel families and adventure travellers around the world. 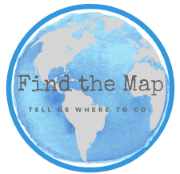 Find The Map are travel advocates, we promote the concept that travel for everyone! Family, single or couple. The biggest way to reach your dreams is to know they are achievable. Seeing others do what you want to do creates that possibility. Travel, adventure, explore! It is this advocacy that creates trust between a brand and its customers and we would like to work with you to create it. Find The Map is all about finding fun and interesting adventures throughout Europe and to share these experiences to inspire others to do the same, through pictures, media materials and website content. This needs to be backed up with good SEO and we have the tools to work with you to not only improve your SEO but to ensure the content we write for you is visible. This is the key to ensuring you reach as many people as possible. Cameron is an experienced communications manager, project manager and corporate trainer with extensive key account management experience. He would be happy to spend time with your team understanding your needs to create the best outcome possible for you. Rosina has the vision for Find The Map. She has a great passion for experiential learning through family travel and adventure. She is the drive behind the find the maps website and has tertiary experience in web design, marketing and database design. Find The Map is currently writing new content and would be happy to accept adventure opportunities, sponsored posts, product reviews and giveaways as well as educational experiences. A unique part of what we do is to ask the public to “Tell Us Where to go” so why not make your Brand part of that journey and show your customers the possibilities in your brand. Product Reviews: Looking to have your product reviewed? We offer honest write-ups on items that are designed for adventure, motorhome living, photography and travel.